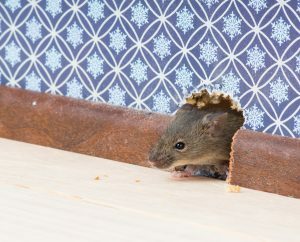 There are many different types of pests that live in both urban and rural areas, but according to official statistics the brown rat and the house mouse are the most common ones. If your home or garden is infested with these pests then you need to take action. Here are just some of the reasons why you need to control rat and mice infestations. To start with, we must consider the risk of diseases. Numerous studies have shown that rats carry many different kinds of diseases and some of them are lethal to humans. We all know that rats caused the devastating bubonic plague in the 17th century. In addition, rats are carriers of many dangerous organisms like salmonella. Their urine also contains compounds that cause Weil’s disease. In addition, mice and rats can also cause lots of damage. They have teeth that need to be sharpened all the time, so they bite and chew everything that gets in their way. They can cut walls and cables and cause expensive problems. If you leave them without taking any action, you risk infestation. One female rat can give birth to up to 60 rats in one year. These are just some of the reasons why home-owners and businesses must report the presence of rats and mice to pest control experts so that the necessary treatments can be implemented to get rid of them. Some of the most common places where rats and mice are found include places close to food sources and warm places. Buildings that are connected to the house, garages, sheds and farm buildings are some of their favourite locations. If you believe that you may have a rat or mice infestation and are not sure what action to take, then please contact Pestbusters now and we will investigate the problem for you.